Free Shipping Included! 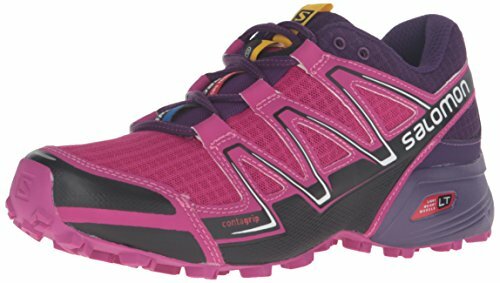 Salomon Women's Speedcross Vario W-W Trail Runner, Deep Dahlia/Black/Cosmic Purple, 10 B US by Salomon at Zen Slippers. MPN: L38310600_Deep Dalhia/Black/Cosmic Purple. Hurry! Limited time offer. Offer valid only while supplies last. Speed cross vario w brings the cushioning and precise fit of speed cross to harder surfaces with a smoother, friction based tread. Speed cross vario w brings the cushioning and precise fit of speed cross to harder surfaces with a smoother, friction based tread. Lightweight materials and welded construction keep the weight to a minimum. Contagrip outsole with smoother tread delivers grip on harder trails or paved surfaces.